Google Assistant is really good and quite useful, mostly because Google is constantly adding new features to make it better. Today, Google announced a slew of new features for Assistant—but they really shine on Home Hub. 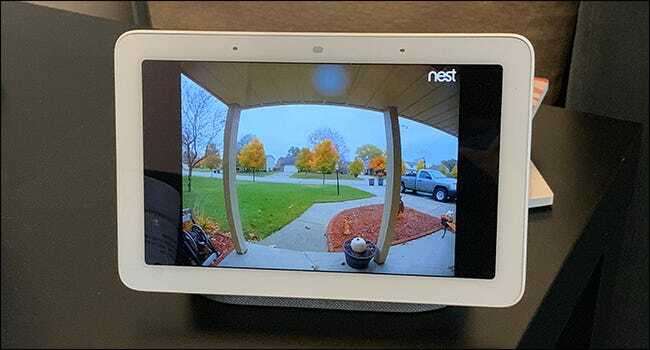 If you’re a Nest Hello user, you can already see on your smart display (like Google Home Hub) when someone rings your doorbell. But soon you’ll also be able to talk to them before going to the door. When someone hits you up on the ol’ doorbell, just tap the “Talk” button on your smart display to find out exactly what they want. The only downside is that it’ll be harder to ignore them when someone knows you’re home. Assistant’s “Broadcast” feature is neat—just say “Hey Google, Broadcast <some words>” and it will send a recording of your voice saying those words to all the Google Homes in your house. The issue is that this is one-way communication, at least until now. With Broadcast Replies, users will be able to respond to these broadcasts from smart displays, Android phones, and even other Google Home speakers. It’s like an intercom that works anywhere. One of the best features of the Google Home Hub is Google Photos’ integration so it’s a digital picture frame when it’s not doing something more productive. Regardless of how well you curate your Google Photos collections, however, there’s always one or two pictures that slip through the cracks and show up when you don’t want them to. Starting now, you’ll be able to dismiss those photos and never see them on your Home Hub (or other Smart Display) again. Cool. Along the same lines, you’ll also be able to “favorite” photos that you really like. Also cool. Finally, touch alarms will make their way to the Quick Settings panel on Smart Display. Pretty useful for quick timers and whatnot. You’ve long been able to say “thanks” to Google Assistant after it executes a command—and it even get a cheeky response in return—but the new Pretty Please feature encourages you to be more polite to your little robot helper. For example, if you say “Hey Google, please set a timer for 10 minutes” it will give you some sort of pleasant nod in return—“Thanks for asking so nicely!” or whatever—before running your command. It’s just a cute way to get people to be nice, especially when it comes to teaching your kids not to grow up to be like their rude Uncle Tony. What a jerk. The good news is that you don’t have to use this feature. Everything will continue to work as normal if you don’t throw a “please” or “thank you” into the mix. Plus, that avoid the extra time it takes to say/hear all those added words. You never know when you’re going to think of the perfect gift for someone on your list, and you can’t always jot it down so you don’t forget. Soon you’ll be able to tell your Assistant and let it keep a running list for you, however—just say “Hey Google, create a gift list” and start adding things to it. The biggest issue is that it keeps this list within the Home app on Android and iOS—not any one of the dozens of note-taking apps out there. The good news is that Google realizes this is a huge shortcoming, so support for Keep, Any.do, Bring!, and Todoist is coming…at some point. Lastly, Assistant is getting some fun new feature for families. You’ll be able to sing along to your favorite songs with on-screen lyrics on a Smart Display, get into a story with the Read Along feature, or even get a call in to the big man himself at the North Pole to see what he’s up to.